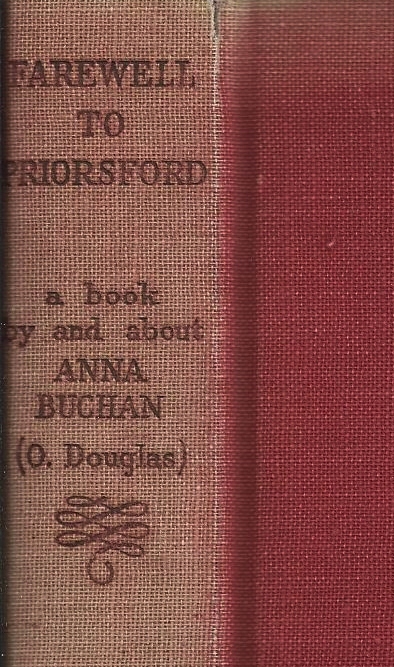 Farewell to Priorsford: a book by and about Anna Buchan (O. Douglas) ~ 1950. This edition: Hodder and Stoughton, 1950. Hardcover. With 5 photographs. 253 pages. This book has been compiled at the request of the many who wish to know more about Anna Buchan by those privileged to enjoy her friendship. This commemorative volume is presented in the hope that it will give to all who enjoy Anna Buchan’s books a share in the fun, the courage and the inspiration she gave to all who knew her. 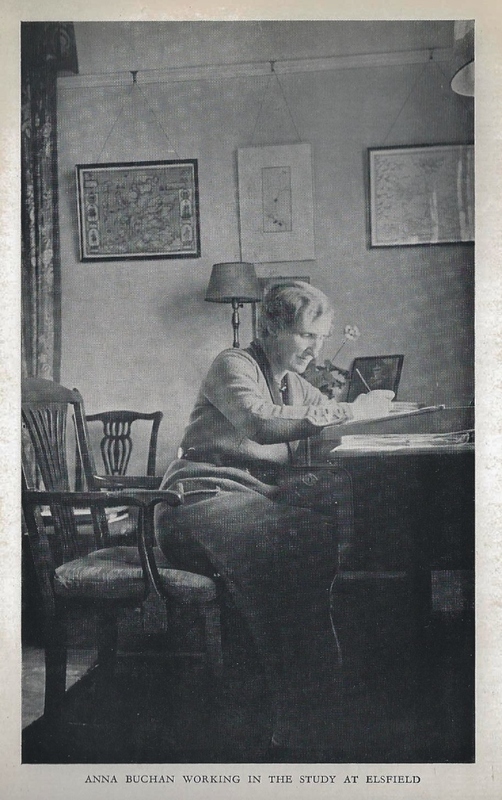 This book was published two years after Anna Buchan’s death, and is composed of several short biographical sketches, with the remainder a few collected short stories and anecdotes. There is also the fragment of the last novel Anna was working on, eight chapters of another Rutherfurd book, The Wintry Years. This is a fascinating and enlightening glimpse into the world of this quiet yet eloquent author, and there are no surprises here for those who know the author through her fictional words, merely a confirmation of what we had hoped to find; that the author’s writings do indeed reflect her real life and her views that many people are indeed “good, gentle and scrupulous.” If this sounds too meek and wishy-washy, I hasten to add that Anna had a strong streak of cynical Scottish clear-headedness about her as well, and there is a leavening of wry humour and keen insight in her works to balance the goodness and gentleness. The more I read of this author, the more I like her, both her works and the person she herself must have been. Farewell to Priorsford is a lovely memorial, and very much worth seeking out for O. Douglas fans. The eight chapters of The Wintry Years are an absolute treat to fans of the Rutherfurds, giving us a fleeting glimpse of their lives during the years of the second World War, and touching on many of the characters we came to know so well in The Proper Place, The Day of Small Things, and Jane’s Parlour, as well as teasingly introducing us to some new characters. Such a shame that Anna Buchan died so relatively young, at 71, and still very much at the peak of her writing years. Highly recommended for O. Douglas – Anna Buchan fans.